Paul's report gave us a better understanding of the damp proofing treatments that needed to be done. We had no idea if the work would cost hundreds or thousands of pounds. Paul's report gave us the confidence to negotiate. A clear and easy to understand report. We appreciated Pauls' help finding the best contractor to do the work. This is an excellent, if not a little scary report and it confirms what we guessed, but quantifies it comprehensively and we have passed it straight to our builder as the benchmark against which to propose work. "As first time buyers we found Pauls' report to be very easy to understand and appreciated the help is choosing a contractor to undertake repairs. We used West Twelve to resolve a long standing dispute with our landlords of damp and condensation. The report that West Twelve produced provided us and our landlords with accurate diagnosis's backed up by facts and figures and a successful outcome for all. Excellent service and well worth the fee. The report was easy to read and provided a better understanding of the damp found in our home-buyers survey. Thank you Paul, we found the report useful and gave us the confidence to proceed with the purchase. Dear Mr Larter thanks again for your assistance with the damp problems in our basement. We found the drain and it was blocked as you suspected. Hi Paul, thank you for the timber and damp report, we completed on the house today. West Twelve provided an excellent service. Very detailed damp and timber survey report. We very happy with the service you have provided. Would not hesitate to recommend or use the service again. "High quality, very professional, cost competitive and fast response service from West Twelve Surveyors"
"We have been impressed by the thoroughness of the damp and condensation surveys undertaken in our properties"
"Thanks a very helpful report"
"Hi Paul, thank you for your help with the damp and timber survey as first time buyers you helped us through what was a very nervous time"
"This is an excellent report and has been of great help to us in understanding the issues"
"I was recommended to use your services by my estate agent and I was very happy they did so. I would use West Twelve services again and would also recommend you to others. The speed of your service was excellent and the quality of your report was very good"
"Thank you for the timber and damp report. The contents of the report and additional information were very useful and informative. I did phone your surveyor and he was extremely helpful and enlightening. I am most grateful for the time he spent on the phone explaining the survey in detail. Please pass on my thanks to him. I have had a very good service from your company"
"West Twelve Surveying provided a high level of service which is reliable and competitively priced"
"Thank you very much for a very thorough and complete report. Paul has done a great job in identifying the problematic areas of the property"
"May I express my appreciation of your prompt response, comprehensive and honest information provided, and professional approach. We are very happy with your company’s service"
“We found West Twelve Surveyors to be very helpful and proactive. Anticipate problems and look for practical solutions." "We have used West Twelve on two occasions to carry out damp and timber surveys on properties that we have gone on to purchase. Our West Twelve experience has been good and would recommend the service to anyone"
"West Twelve offered an alternative approach to traditional damp & timber treatments"
"Thank you for completing the survey so very quickly, we are very grateful. We would not hesitate to use your services again and will happily recommend you." "Hi Paul just a few lines thanking you for looking at my mothers house so quickly, one builder had told mum that dry rot was going to cause the kitchen floor to collapse !! I'm so grateful that this is not the case"
"Thank you for your prompt and efficient service in respect of the timber and damp survey. It is reassuring to know that there are professionals who can carry out their work to this standard and at reasonable charges"
“We are grateful for the time you have spent with us talking through our plans for the basement and discussing the costs of the repair work required." " We found the service to be very useful, it offered us a better understanding of the dampness identified in our purchasers survey"
“Thank you very much for being of such great assistance”. "I would like to take this opportunity, on behalf of myself and my son to thank you for your professionalism and expertise in obtaining a very satisfactory result”. "Thank you again for your fabulous service. Will be in touch if there is anything we need to clarify. Paul offers a friendly, approachable and reassuring service"
"I shall certainly use your services again if required, and would not hesitate to recommend you to friends/colleagues"
"Please pass on my sincere thanks to your team for your prompt response to my request for a timber survey. Your service has been excellent and the way you report through the Internet is so useful. If I need the services of a survey in the future, I will definitely use West Twelve again"
"I want to say that I think West Twelve are very professional, helpful and kind and I would certainly recommend them to anyone. I'm very impressed with your efficient, prompt service - thank you for all of your help"
"Thank you so much for your email and attached report. If only everyone could be as efficient as you. I'm so grateful Paul spotted the problem with the bay windows. Thanks once again for all your help. It is a huge relief to know that expert advice is on hand"
"The house we purchased had guarantees for damp proofing and woodworm treatments however the company that had issued the guarantees had ceased to trade. We asked two damp specialist contractors to comment, one insisted that the treatments had to be carried out again so that new guarantees could be issued; the other offered to issue new guarantees for the price of the original work, £1700. We found West Twelve Surveyors through the property care association website. West Twelve were able to establish that both treatments we working and that no further work were necessary. W12 also were able to tell us that the guarantees were covered by insurance and were valid after all"
"We found the services of West Twelve to be very professional and useful in solving our damp problems. We can highly recommend West Twelve as independent damp surveyors"
"A comprehensive and very informative report. Thank you"
"Only too glad to recommend your services. We found West Twelve on the Property Care Associations website when looking for a contractor we didn't realise that we also had the option of using an independent surveyor. The service we received was excellent"
"We used West Twelve Surveyors to advise us when our tenants complained of damp. The problem was condensation and after having the correct fans installed our tenants are happy with the outcome"
"Thank you for the help and guidance you gave us in sorting the damp problems we had with our daughters flat in Hampstead. The contractor you suggested have done a wonderful job. Thank you"
"I would recommend West Twelve Surveyors to anyone requiring a full timber and damp survey. I found their report comprehensive and well communicated and I found they were very responsive to any follow up queries." "We were very happy with the quality of the damp & timber report and the speed at which it was completed. We recommend West Twelve Surveys as independent damp surveyors"
“Thank you so much for all your invaluable help you have given to solve our flooded basement. I hate to imagine where we’d be now without it"
"A high quality, very professional, cost competitive service from West Twelve Surveyors. We have tried many damp and timber companies in the past, West Twelve have consistently proved to be the best at meeting our needs." 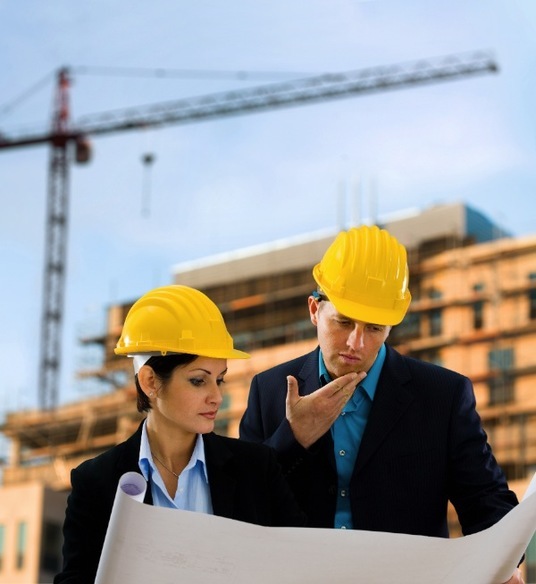 "West Twelve Surveyors provides and efficient and reliable service, which provides excellent value for money. I wouldn't hesitate to use their services again should the need arise"
"I am impressed with the way that Paul deals promptly with my enquiries and follows through with first class timber and damp surveys delivered on time, to my brief and in the formats I need. I would not hesitate to recommend his services"
"A thorough damp and timber report that gave me all the detail I needed to make a decision to purchase. We cannot recommend West Twelve Surveyors enough. Excellent"
"West Twelve Surveyors provided me with lots of details about the building and pointed out various things that had not been noticed. The report was very detailed and well written. I would have no reservations recommending West Twelve to anyone that needed a damp and timber survey"
"I just wanted to thank you again for your advice about our damp problem. It has been resolved at no cost to us. I know a whole lot more about damp and drains than I did in the past. Had you not brought it to our attention it could have been extremely unpleasant. Thank you for being so helpful”. "Thank you all for such an efficient and professional service. We certainly recommend West Twelve Surveyors for independent damp and timber surveys. "I really appreciate the time you have spent on the phone with me after I received your report. I was alarmed when you mentioned dry rot but feel much happier now I understand what needs to be done." "I would recommend West Twelve Surveyors to anyone requiring an independent damp and timber survey. I found their report comprehensive and well communicated and I found they were very responsive to any follow up queries." "Thank you for carrying out the damp survey and getting the report to us so promptly. I also appreciated you giving your time to speak to me on the phone I valued your observations and advice. Many thanks for your help and sound advice." “Thank you for the first class and personal service we received from you when conducting our damp and timber survey yesterday. It was so refreshing to meet someone as dedicated and enthusiastic as yourself. The service offered from the initial phone call to completion of the survey was second to none. As first time buyers your approach and personal commitment makes such a difference and takes a lot of stress out of the whole buying process. We would certainly recommend you to others and use your services again"
"We contacted West Twelve Surveyors to ask their advice on which type of survey would best suit our needs. They guided us through the options and we commissioned a full damp and timber Report. Their surveyor highlighted some potential problems with damp and rot and we subsequently addressed these with the vendor. It lead to a reduction in the purchase price. Their report was worth every penny. I would not hesitate in recommending them." “Thank you very much for your prompt survey. We were disappointed to read about the damp problems with the gable wall and so have not made a bid to buy the house. "West Twelve helped us to identify the correct solution to the damp issues we had when converting our basement and assisted with the specification of waterproofing so that it was within our specified budget - we would unhesitatingly recommend West Twelve’s expertise and professional approach to other interested clients." "We were very happy with the quality of the damp and timber report and the speed at which it was completed. I would certainly recommend you to friends and family in the future." "An excellent service and great value for money. No blurb, No sales pitch just honest easy to understand advice and guidance." "Hi Paul just a brief line to thank you and your team for all of the help you gave us during the purchase of our new house in Brighton. We have past your details on to the agents and our solicitors"
“The service was really a cut above our past experiences of timber and damp surveys. As such, we found the survey to be very informative and the manner in which it was communicated and explained to us only served to make our understanding all the greater. This is the second time we have used West Twelve and would have no hesitation in doing so again in the future." “A thorough and detailed damp and timber report in plain English. We found the captioned photographs of the main defects and a table of estimated costs for their repair to be of great assistance. West Twelve offered a first class comprehensive service. I would thoroughly recommend them"
"Thank you for the report, it is most useful and I appreciate the level of detail and background that you have provided in it"
"Thank you for your more than helpful response. I will pass your details to my agents and will ask them to recommend you to their property owners in future, and will indeed recommend you to any friends who might need your services. "In addition to a very thorough survey Paul called immediately after the survey and spent 45mins discussing his findings. Paul gave us invaluable advice on what needed to be done to the house and how to go about doing it. Thank you West Twelve"
"We contacted West Twelve Surveyors following a recommendation from our solicitors; We had a number of 'bad' experiences in the past with contractors and was loathed to just source a name out of yellow pages and we are extremely glad that we didn't. I am very pleased with the service and the quality of report provided. We found our surveyor to be very knowledgeable on the subject"
"West Twelve were excellent. They showed flexibility in conducting my survey in very short timescales, their report exceeded all my expectations with great detail on the property, highlighting short term priorities to address and longer term opportunities for improvement, with good clarity and evidence on costings to fix these"
"Our West Twelve experience was excellent. All observations were backed up by photographs which were invaluable and the comprehensive report was written with clarity and ease of understanding. The report was supported with a full verbal briefing and the opportunity to ask further questions at any time. I would highly recommend them." "West Twelve provided us with an extremely high level of service that went above and beyond that of a normal damp and timber survey"
"West Twelve came recommended to us and responded swiftly and professionally to our specific needs. Their professionalism and the quality of their report was exceptional and we thought that they represented excellent value for money. West Twelve alleviated the concerns we had with our purchase. I would be more than happy to recommend them." "West Twelve offered a first class, thorough and extremely comprehensive service. Impeccably courteous, quick, and able to explain and advise in a clear, concise and understandable manner, I would thoroughly recommend them as independent damp and timber surveyors"
"We used West Twelve Surveyors during a recent house purchase in London. 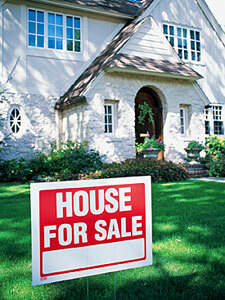 Living in the USA we were not familiar with real estate transactions in the UK. West Twelve gave us the confidence to negotiate a successful outcome"
"Paul, thank you for the report. It is a huge relief for us to know that the dry rot has not come back again !!!! Thank you again for your assistance with this. Mark has recommended your services to several of his clients. "After months of searching we thought we had lost our perfect property. The report from the damp specialist quoted £4000 to do damp proofing treatments. West Twelve were recommended by our solicitors as independent surveyors. West Twelve identified a problem with the drains that cost less than £500 to repair"
"Our West Twelve experience was good, Paul Larter provided us with clear and precise facts with no glossy brochures and sales banter"
"Thank you Paul for your help in sorting out the damp problems in my mothers house. We had two contractors look at the problem both suggesting damp proofing treatments when the problem was just a leaking pipe from mums old washing machine that had been leaking for years"
"Excellent service from start to finish. We have recommended your services to others and will continue to do so"
"Your report was useful and informative providing us with a clear understanding of the damp problem giving us confidence to proceed with the house purchase. The service provided was swift and "
" The advice given by West Twelve was common sense really once Paul explained where the source of the dampness was coming from and how we could fix it without the need for any expensive damp proofing treatments here, the survey fee was well worth it.
" Confused by conflicting advice given by builders and damp proofing contractors we employed West Twelve to offer an alternative view. Builders and contractors had works varying from £2000 - £8000, following the advice of West Twelve we had extractor fans installed costing less than a £1000"
" Our West Twelve experience was very good. Excellent value for money the report was and specific to our property"
" Brilliant, West Twelve saved us from spending thousands of pounds on damp proofing treatments that were simply not necessary. We followed the advice given and had a ventilation system installed, the difference was almost immediate"
"We recently employed Paul Larter to undertake a damp survey. We had previously received conflicting advice from 5 damp companies, all of whom told us our basement flat had rising damp and would need to be tanked. Paul was able to quickly identify that the problem was in fact condensation/ventilation. This has been a great relief to us and will save us a considerable amount of money. Paul has also given us lots of practical advice. We would thoroughly recommend West Twelve for the friendly and thorough service. Thank you very much"
" We cant thank you enough for your help with buying our London home. The advice given was clear without any builders blurb and jargon. GREAT service from start to finish"
"Excellent service from the first enquiry through to the very informative and easy to understand report. The report and advice received from West Twelve Surveyors was nothing like any damp and timber survey we have had before"
" The report provided us with the exact information needed to purchase the house with confidence"
Excellent service once again - timely, informative and professional"
"Thank you so much for your kind assistance in getting this report to me so quickly - I very much appreciate it. Please thank Paul too for his very efficient and professional service"
"Many thanks for the very detailed report your wise words and advice"
"We found West Twelve Surveyors to be extremely helpful and responsive throughout the process of buying our new house and selling our old and highly recommend them to anyone considering utilising their services"
"Thank you so much for your telephone call and helpful advice. How refreshing to talk to someone who is not trying to sell me something unnecessarily"
"The report gave us the confidence to proceed with the house purchase. Thank you for the excellent service that you provided, we can highly recommend West Twelve independent damp surveyors"
"The report contained exactly the level of information we required to negotiate with the current owners. We cannot thank you enough"
" We would have no hesitation in recommending your services to others. The advice given to us compares with no other damp and timber survey that we have had in the past, even our solicitor remarked on the difference between your report and the reports received from the contractors." "West Twelve provided us with excellent advice and helped us resolve our differences with our building contractor. We now have a dry basement and friends again with our builder. Thank you Paul"
"Excellent value for money and nothing like any damp and timber survey I have had done before. A report that related to my property with no computer generated standard blurb. Thank you Paul"
"Many thanks for the report - it has provided exactly the level of information we required"
"West Twelve Surveyors came recommended to us and responded swiftly and professionally to our specific needs. Their professionalism and the quality of their report were exceptional and we thought that they represented excellent value for money. Paul Larter alleviated the concerns we had with our purchase in particular damp and woodworm. I would be more than happy to recommend them." "Paul, thank you for dealing with the damp and timber survey so promptly. The advice given was of great assistance to us" We have decided not to progress with this purchase and continue our house hunting"
“Paul Larter gave us just the help we needed when buying our house in Wandsworth He was very easy to deal with, responsive and efficient. Using West Twelve independent surveyors represented excellent value for money. We'd certainly ask for his help again if we were to look for another property." "Just a brief line to thank you for the timber report. We found the content very useful and easy to understand. As you suspected the property had been previously treated and no further action was necessary"
"We can’t speak highly enough of the personal, efficient and professional service we received through West Twelve Surveyors especially our contact Paul Larter. Re-locating from town to country whilst expecting twins was a challenge especially when our survey identified damp and dry rot but Paul was able to establish the true extent of the problem and pulled us through the inevitable wobbles in the house-buying process with his calm but clear advice. We would have no hesitation in recommending West Twelve as independent damp and timber surveyors"
"Paul, thank you for all your help and valued assistance in dealing with the damp and rot problems in my mothers house"
"West Twelve offered a first class, thorough and extremely comprehensive service. We found Paul Impeccably courteous, quick, and able to explain and advise in a clear, concise and understandable manner. The report provided was easy to understand and gave us the ability to negotiate the asking price. I would thoroughly recommend them." " The service provided was excellent offering an alternative approach towards damp and timber treatments we will continue to use the services of West Twelve. "Your professionalism and expertise resolved what was becoming a trying and complicated problem. Prompt communication with the builders and architect, excellent knowledge of dry rot and how it was affecting not only my property but other flats in the block"
“Just a quick note to say thanks for all of the work you put in for us. Your recommendations were spot on and in our view the most realistic. You guys came up trumps for us and we are really pleased to have worked with you. Thanks for a very professional service. Best wishes for the future." “My solicitor recommended West Twelve Surveyors when buying our property in Holland Park. At the time I was living in California. The service I received from Paul was excellent in every respect. I could not have wished for better guidance and advice and have no hesitation in thoroughly recommending the service he offers." “As first time buyers we had a lot of fears when our home-buyer’s survey talked about damp and woodworm. The contractors we spoke to were more interested in when we were looking to have work done before even inspecting the property. We used West Twelve Surveyors who immediately put our fears to rest with their great knowledge of property. we would recommend anyone to speak to West Twelve and get an unbiased view." "We enjoyed our relationship with West Twelve Surveyors. They were extremely professional and friendly and avoided the usual jargon of damp proofing contractor Speak. We will certainly be using them again and can recommend them as independent damp and timber surveyors"
"I recently engaged West Twelve Surveyors to advise on a proposed commercial property transaction. I was impressed with the speed and attention to detail that Paul brought to the whole acquisition process, particularly with issues of damp and woodworm that were raised in our initial survey. Everything was dealt with professionally and seamlessly, including recommending suitable contractors. I will certainly be using West Twelve for my next property transaction, and have no hesitation in recommending them to my business associates." 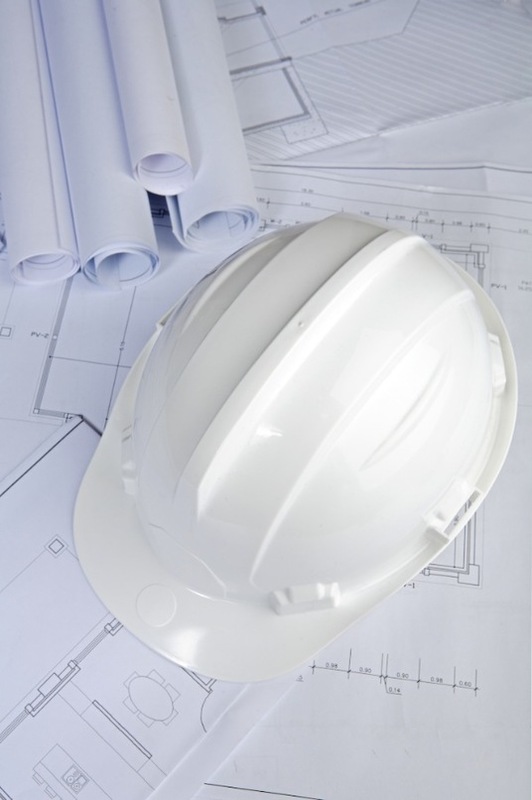 "West Twelve Surveyors offered a first class, thorough and extremely comprehensive service. Impeccably courteous, quick, and able to explain and advise in a clear, concise and understandable manner, I would thoroughly recommend them as independent damp and timber surveyors"
"We had a very positive all round experience working with West Twelve Surveyors on the purchase of our property. The survey provided was of the highest quality, going into a great deal of detail without ever becoming unintelligible. As such, we found the Damp & Timber survey to be very informative and the manner in which it was communicated and explained to us only served to make our understanding all the greater. We found West Twelve to be both extremely helpful and responsive throughout the whole process and would highly recommend them to anyone considering utilising their services." "We were delighted by the service provided by West Twelve Surveyors. Since we live overseas we have limited time in the UK and limited experience of the UK real estate market. our decision on which house to buy was made so much easier by using professionals such as West Twelve." "West Twelve Surveyors came recommended to us and responded swiftly and professionally to our specific needs. Their professionalism and the quality of their report was exceptional and we thought that they represented excellent value for money. The survey alleviated the concerns we had with our purchase. I would be more than happy to recommend them." "I found the overall experience very refreshing. I contacted West Twelve Surveyors on the back of a recommendation from a colleague; I had a number of 'bad' experiences in the past with damp proofing contractors and was loathed to just source a name out of yellow pages! And I am extremely glad that we didn't. I am very pleased with the service and the quality of the results"
"Thank you for the report relating to the flood damage at our London premises. The content provided us with a better understanding of the situation and the long term affects to the building. Your knowledge and expertise provided us with confidence when dealing with our insurers"
"I can not over emphasise how valuable Mr Larters' depth of knowledge, skills and professionalism have been. This has not only enable the purchase but has made the process for more pleasurable than it might otherwise have been. In short, he has provided a truly excellent service". "We are grateful for the excellent service that you have provided, having followed your advice the walls of our basement are so much better and clearly drying. We are very happy to recommend you"
"Thank you for the report. I want to thank you and your staff for your time and the help you gave helping us"
" Thoroughly professional and reliable. Would have no hesitation in recommending the services of West Twelve damp surveyors"
"Thank you for the advice and for introducing us to Simon of Anchor Property Care who we used to replace the rotten floor"
" A professional service which we will use again on other projects"
"Very useful and informative and a totally different approach taken when compared with the contractor we have used on previous projects"
"Thank you for the report and the time you took to explain to us what the problem was and how best to solve. We have been very impressed by you and the service your company has provided"
" Thank you for you help and guidance in solving the problems we had with our damp basement. The Delta Membrane system you recommended is such a simply idea but so effective. The guys from Dryside made a wonderful job"
"I recommend the services of West Twelve. I knew that the house had a damp problem and having had three damp proofers look at it I was none the wiser !! The Property Care Association suggested that I used an independent specialist for advice and recommended West Twelve. Paul made sense of the reports and helped in selecting the best contractor for the work needed"
"We had two contractors look at our damp basement in Fulham both recommended different things. One quoted £1500 the other £9000. Confused and not knowing what to do next we employed West Twelve Surveyors for independent advice. We found Paul Larter to be very helpful, he took time to explain the quotes we had. We followed Pauls' advice and employed a contractor that he recommended. Our basement is now dry"
"Excellent service. No fuss, No drama, No Sales pitch, No rising damp. Thank you Paul"
" Our solicitor recommended West Twelve Surveyors after our home buyers survey reported problems with damp and woodworm. We found the service to be very useful as we knew nothing about damp and woodworm. Thank you West Twelve"
"I can recommend West Twelve Surveyors. The service we received was prompt and professional. No sales talk just good honest advice in a report we understood. Thank you"
Many thanks for the damp and timber report. The advice and guidance you gave was of great assistance. We found West Twelve to be very professional and knowledgeable in solving our flooding basement. We have no hesitation in recommending West Twelve as independent damp and timber surveyors. We found the service to be excellent. West Twelve Independent Specialist Surveyors.